Fernand Petiot claims to have invented this famous drink in the 1920’s, while he worked at Harry’s New York Bar in Paris, France. The name of the drink is associated with historical figures, the most famous one Queen Mary I of England, who tried to restore Catholicism during her reign. Does the color of tomato juice relate to the reign of a bloody queen? 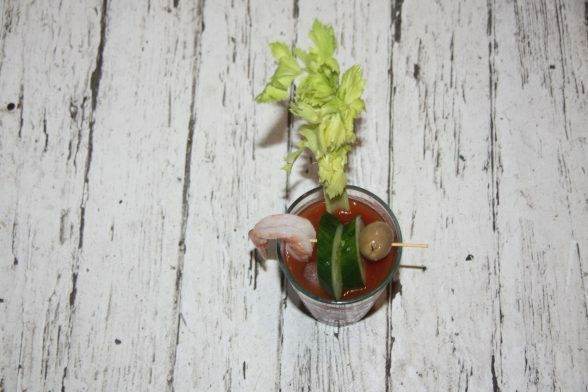 History aside, which we love about as much as enjoying the real drink: This Bloody Mary is perhaps the best recipe you will ever have. By the way, it has so many vegetables that it’s almost a meal. Everything is delicious. Put all ingredients in a shaker, except for the garnishes which are shrimp, cucumber slices and olive. Shake very well. 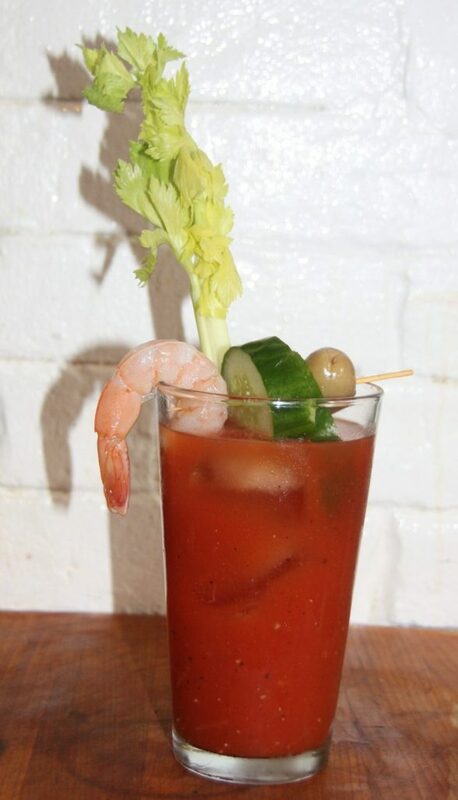 Pour in a glass and garnish, using a toothpick.